Welcome to my very first edition of Five Things Friday! 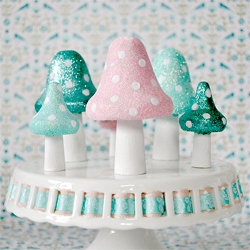 Aren't these Glittered Toadstools from Torie Jayne just adorable! I'm just in love with the colors! I. Love. These. These fun shoes from A Beautiful Mess are super easy! 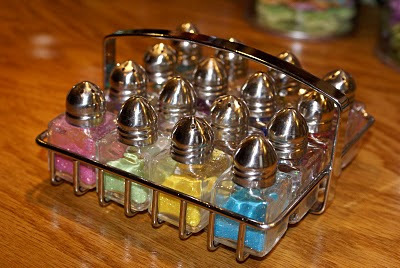 Isn't this glitter storage from Organize. Conquer. Clutter. great? So easy for kiddies. I love these glitter nails from Love Maegan. So cute and simple! 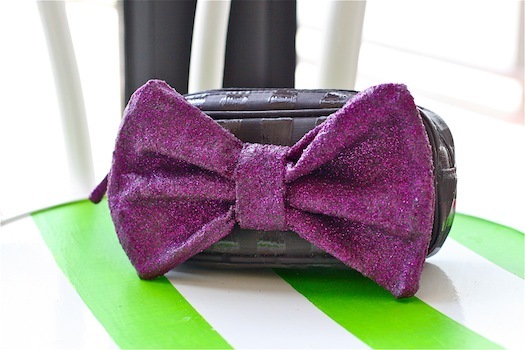 LOVE this glitter bow clutch from Projectville is so cute! Hope you enjoyed the first Five Things Friday! Come back next Friday for another one!